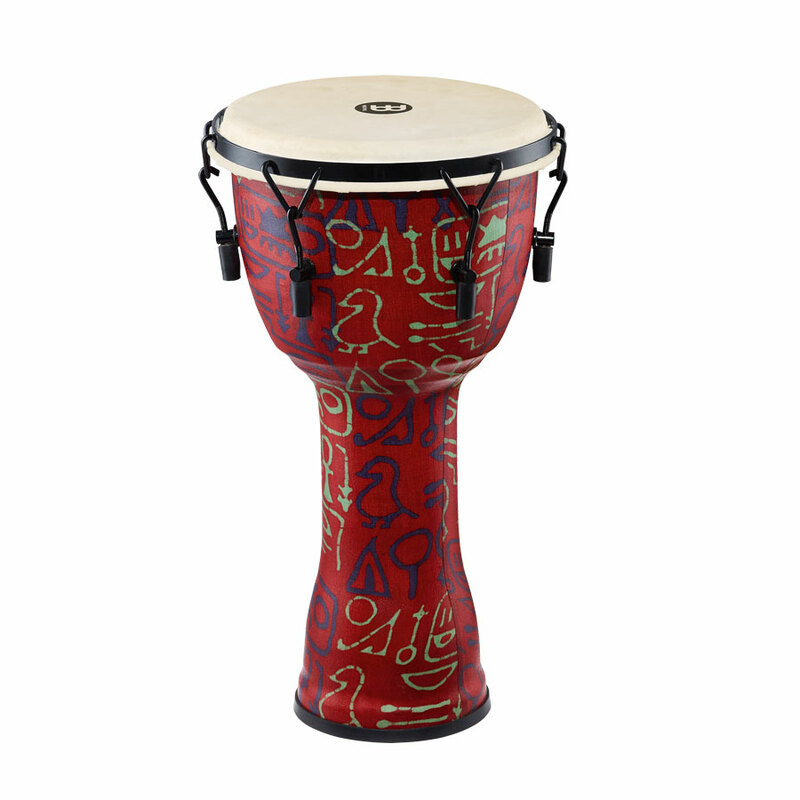 PMDJ1-L-G – MEINL Percussion Lightweight Tuned Series Djembe with Pharao’s Script design and Goat’s Head. Head Diameter: 10″. The MEINL Mechanical Tuned Travel Series Djembes are ultra-lightweight drums that are great for professionals as well as recreational players. The patented synthetic shell makes these djembes 20 lighter than our fiberglass models which enables quick and easy transportation. Equipped with hand selected goat skin heads, they produce cutting slaps and warm bass tones found in traditional African drums. The mechanical tuning system allows you to change pitch quickly and easily.